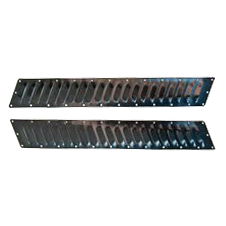 Available in Two Sizes – 2 11/16″ X 12.5″ Each Panel, 14 Louvers Per Panel. 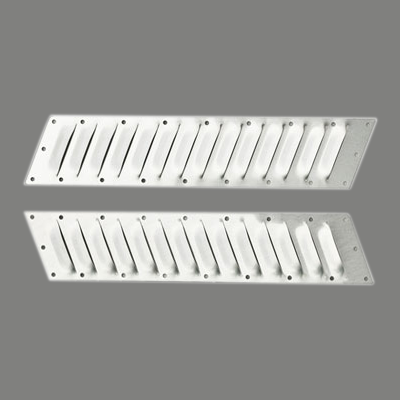 2 11/16″ X 18″ Each Panel, 21 Louvers Per Panel. Two Panels Per Set. All are Hi-Flow. Complete with Stainless Steel Pop Rivets, correct-size Drill Bit and User Friendly Instructions so easy that over 97% of owners install them themselves! 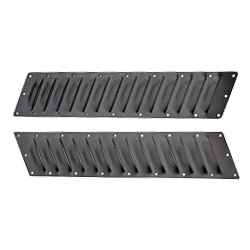 Fit on the vertical sides of Jeep Wrangler-style hoods and on the sides of fenders of many other vehicles (and race-boat outboard and aircraft-engine nacelles). 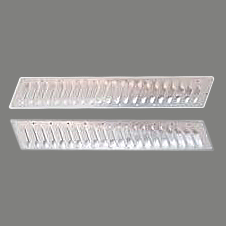 Also use as outriders to Size Medium for extra heat flow.